Corbett National Park is located at a distance of about 263 kilometres from New Delhi in Ramganga Valley of the Indian state, Uttaranchal. A trip to this wildlife reserve is not only about wild animals and their natural habitat, but also involves lots of fun and adventure. This region is a place where different kinds of activities can be enjoyed by those who are seeking some unforgettable adventures. One of the interesting activities that tourists can enjoy during their vacation in this region is camping. A popular place for this activity is Dhikala, located at Patli Dun Valley's edge. Tourists can also enjoy fishing in Corbett at Ramganga River with the permission of park authorities. One can put on their trekking shoes and explore the areas around the national park for some great adventures. Besides these activities, travellers can also enjoy elephant and Jeep safaris, which offer them a chance to watch their favorite animals, birds and reptiles in action. 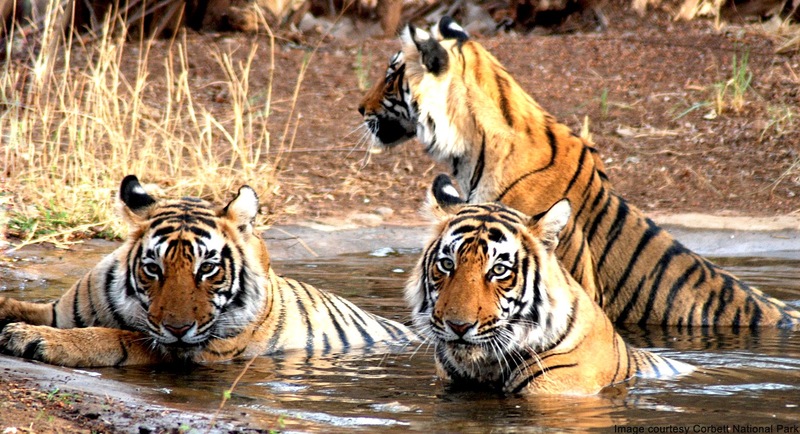 Staying in Corbett region is one of those unique experiences that tourists would like to cherish for a very long time. Some of the Corbett resorts provide cottages for accommodation of their guests, that are are equipped with all the modern facilities.